Well, how was this for a treat? 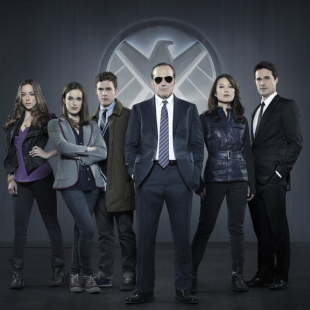 Agents of S.H.I.E.L.D. - a series that both fans and detractors agree is basically a commercial for the Marvel Studios movies - takes a another week off to be pre-empted by... a literal commercial for the Marvel Studios movies. Snark aside, I can see the purpose that Assembling a Universe is meant to serve - sort of. 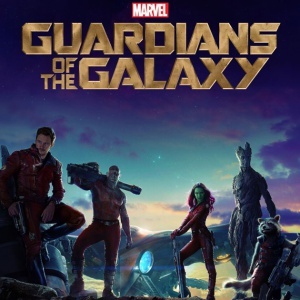 It's easy to forget, with digital-savvy Gen-Xers/Millenials being the main target-audience of the Marvel movies, that not everyone is dialed into websites and social media constantly seeing reminders of the "Universe" part in "Marvel Cinematic Universe". And if there's an easy shorthand for an audience that's the opposite of "digital-savvy Gen-Xers/Millenials" it's ABC primetime viewership, so there you go. First sort-of good look at Lee Pace as Ronan The Accuser in Guardians behind-the-scenes footage. Looks about as expected. Surprised to see just how blue the Kree skin tone seems to be. Pretty much everyone interviewed is in full-on "pretend these big-paycheck tentpole gigs are the most artistically-fulfilling moments of your career" mode, but it feels pretty genuine coming from Clark Gregg (Agent Coulson); who really does seem dumbstruck at having wandered into leading-man territory mostly by happenstance. According to the recollections in this special, Iron Man went into production with Agent Coulson as a nonspecific government operative, and the decision to include S.H.I.E.L.D. in the storyline was decided on later - as was the Nick Fury cameo that wound up being the benchmark of the entire MCU. That's interesting to me, since I remember the unproduced standalone Iron Man script that Tom Cruise was attached to back in the 90s being effectively a Tony Stark/Nick Fury buddy-cop movie. Got our first looks at concept-art for Quicksilver and Scarlet Witch, neither of which looked especially impressive but not really bad. It was probably too much to hope that they'd look as much like their (pretty preposterous-looking) comic book selves, but it certainly doesn't look like they'll have the fidelity of (most of) the other Avengers. Or I could just be bummed that I don't get to see Elizabeth Olsen in Wanda's classic getup. Oh, well. No real mention of the Netflix shows yet, likely because there'd be no footage yet. Willing to bet this will be the first a lot of viewers have heard of the "Marvel One-Shots" short films. Winter Soldier preview gives away the titular Soldier's true identity, which bums me out but it never looked like Marvel was invested in that being used as a Big Reveal. Notably, focus on it here devotes a lot of time to Cap's relationship with Black Widow; to the point that I won't be surprised if they wind up as a couple by the end of the film. Sorry, Hawkeye. The biggest tease, for fans, is easily the blink-and-you'll-miss-it reveal of a plus-sized Iron Man gauntlet prop on the Johannesburg set of Avengers: Age of Ultron and concept-art of The Hulk fighting what looks like a Hulk-sized Iron Man armor. This would be The HulkBuster, an Iron Man armor built specifically to fight The Hulk. Apparently the Science Bros. will not be remaining on entirely friendly terms in this one. Shots are shown, without identification, from Edgar Wright's "Ant-Man" test footage. I still bet they end up using his as part of the movie, somehow.